In last month’s issue we learnt how Western Digital Corporation has rationalised its product offering and streamlined its distribution strategy, as it continues to evolve from a storage components supplier into a broad-reach data technology company. Here, in part two of our interview with Nigel Edwards, Western Digital Corporation’s Vice President EMEAI Sales, we find out more about the challenges and opportunities facing the company and its channel partners. The last 12 months have not been easy for Western Digital, which has had to contend with greater competition, big declines in ﬂash pricing and a more difficult global business environment, but Edwards suggests that diversification and expansion of the company’s product base mean it is well placed to weather these storms and profit from long-term trends including increased mobility and data growth, especially in the cloud. “The big growth areas over the last years, which will continue, are what we call the I4, the hyperscale accounts – Amazon, Facebook, Google, Microsoft – and their datacentres. The growth we see in the datacentre space is astronomical. These guys’ storage requirement is growing at a rate of 50-60% per annum. People don’t delete anything so the amount of storage they need is tremendous. Edwards points out that three or four years ago, Western Digital reacted to some of these trends by re-positioning itself as a provider of total solutions rather than just the storage part. “We initially released some JBOD (just a bunch of disks) and JBOF (just a bunch of ﬂash) products – dumb devices, large dense boxes of storage. But over the last few years, we have introduced some really revolutionary JBOD and JBOF products that have gained a lot of success across the globe, and we have continued to progress and now have released storage servers that actually compute. 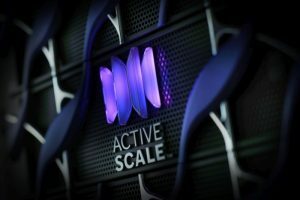 We acquired Tegile and we have our own Activescale organisation selling multi-petabyte object storage systems. We’ve really started to move into fully functioning storage subsystems, rather than just selling components, and that’s an area where we expect to see significant revenue growth over the next 5-10 years,” he said. While the diversity of Western Digital’s portfolio is a source of strength, Edwards admits that it does also create difficulties. 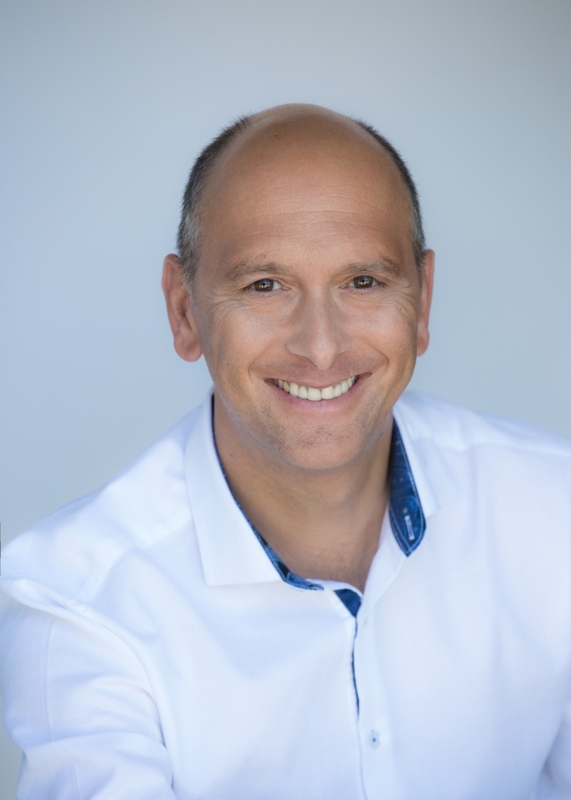 “One challenge for me and the team is staying up to date with all the areas we now touch as a corporation, from selling NAND components at an embedded level right the way through to large scale systems. Although we are segregated in some areas, we expect our sales organisation to have knowledge and understanding of all areas of our product portfolio. So, one of our biggest challenges is just to keep up”, he said. The breadth and complexity of Western Digital’s product portfolio poses difficulties for Western Digital’s distribution and reseller partners too. “Before, there were clear, discrete areas: we would sell the products; distributors would stock the products; resellers would buy those products and they would sell them into generic, standard areas. Now, the Internet of Things has opened up so many other areas that our channel partners are, in some cases, having to set up new organisations and new teams. “Also, because in the past we were predominantly a components supplier – for hard drives or for ﬂash – we used to work only with distributors’ components purchasing teams. Now, as we start to expand our portfolio, we want to work with their components team, but also their enterprise organisation and sales teams – and they are often totally different organisations within a distributor. Over the last 12 to 24 months we have done a lot of work with key partners to try to link those divisions together. This has been quite challenging because, due to the way commissions are set up for distributor sales organisations, it might mean only one team getting the commissionable sale. There has been a lot of complexity around that. “The key thing is that distributors are able to see the added value that we bring. By owning 70%-80% of the BOM, as we often do with these storage products, we enable them to make nicer margin on the WD product range, compared to the relatively low margins they are used to making on the components side. When you sell a total solution, and services as part of that, it’s a very different margin driven sale, which is why many have been very keen to enter that space,” explained Edwards. A second challenge identified by Edwards is largely the product of Western Digital’s market dominance, especially in HDD. “In the HDD space there are really only three players. We and Seagate each have around 40% share and Toshiba the remaining 20%. So, if someone is buying an HDD, there’s a pretty good chance it will be one of our products. However, there are many more players in the SSD space. You’ve got Intel, you’ve got Samsung, you’ve got Hynex, you’ve got Toshiba, you’ve got Kingston – it’s a much more competitive landscape. One of the challenges we’ve got to be very aware of is that as a business converts from HDD to ﬂash, which we are beginning to see especially in the desktop and client space, we must make sure it’s a Western Digital SSD product that’s replaced in those systems, otherwise we run the risk that our revenues will decrease,” he said. Whether undertaken for defensive or offensive reasons, Western Digital’s portfolio expansion should enable it to face the future with confidence.